Gaiger's Tree and Hedge Care - Tree Surgeon based in Southampton, Hampshire. 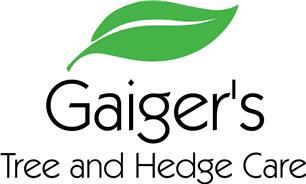 Gaiger's Tree and Hedge Care was set up in 2012 by myself, Ed Gaiger. Our aim is to provide an easy, hassle free process from quote to job completion every time! Being fully qualified and insured you can rest assure that your trees are in very capable hands of our team, whether it be full tree dismantle, crown reduction, dead wood removal or even fruit tree pruning. We cover all of Hampshire and parts of Wiltshire and Dorset. For a free quotation or advice please don't hesitate to call, we are more than happy to help!